Throughout history, painters have been influenced by being exposed to artifacts and art of other cultures. 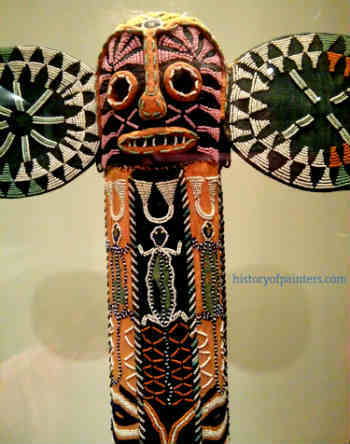 African tribal art has played an influential role in the history of European Art. The unique characteristics have inspired many 19th and 20th century painters to infuse their work with a primitive almost mystical power. European avant-garde painters were influenced by prehistoric rock paintings, ancient rituals, ceremonial masks, sacred sites, ceremonial costumes and mythical creation stories. The Cubist period, founded by Georges Braque and Pablo Picasso, was the most heavily influenced Western art movement by African Tribal art. Early African art, from 7000 BC, is comparable to European Neolithic art. Prehistoric African imagery includes wild game, carnivorous animals, zoomorphic creatures, stylized demonic like figures and hunters involved in complex maneuvers. These paintings and carvings are highly sophisticated and beautiful. Later African art suggests a sophisticated and complex society, rivaling European culture. 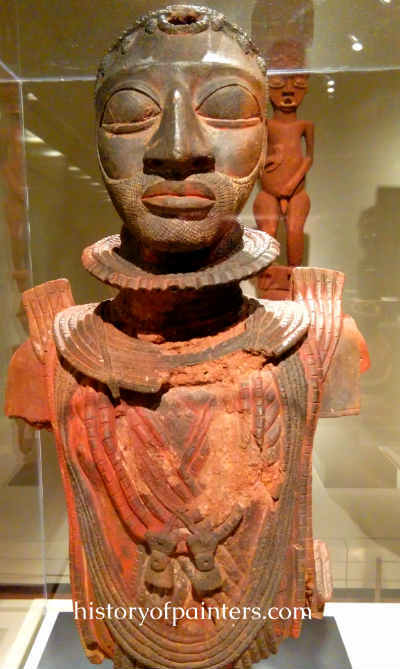 Southern Africans were creating magnificent terracotta figurines and wood ivory carving. Early metallurgist were employing sophisticated casting techniques as early as the first and second century AD. According to artist Marcel Duchamp, "The spectator brings the work in contact with the external world by deciphering and interpreting its inner qualifications and thus adds his contribution to the creative act." Cubism has its roots in African art. It was an avant-garde modern art movement headed by Pablo Picasso and Georges Braque. The term "cubism" was coined by Henri Matisse in 1908. The movement was something of a backlash to the impressionist period. Cubist painting caused a scandal in the art world and was considered revolutionary at the time. Picasso and Braque catalyzed a transformation in innovative techniques and mediums. Artists, inspired by their style, started breaking away from the dogma of impressionism and post impressionism which had maintained a strangle-hold over the modern art world.